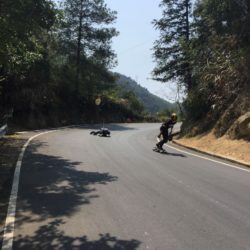 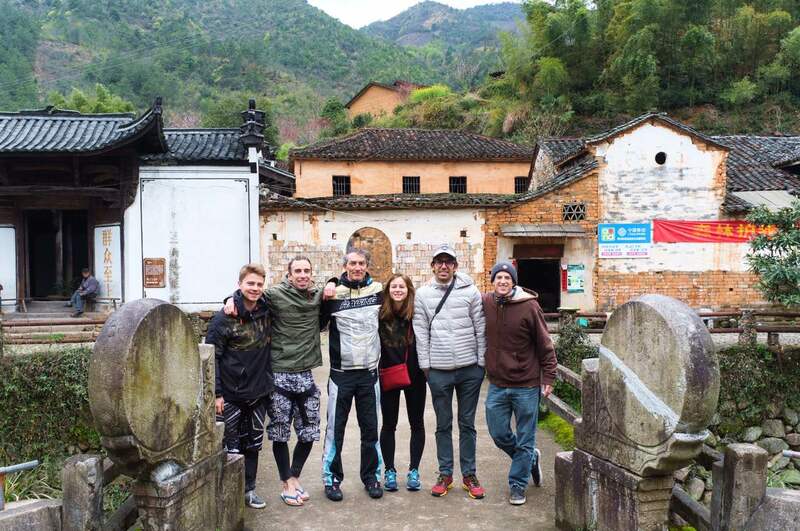 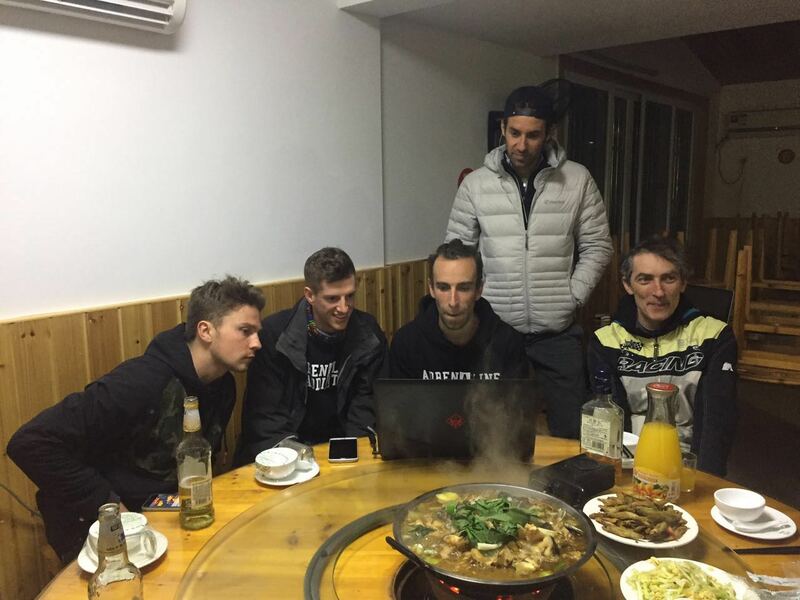 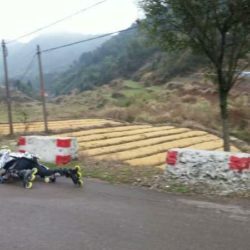 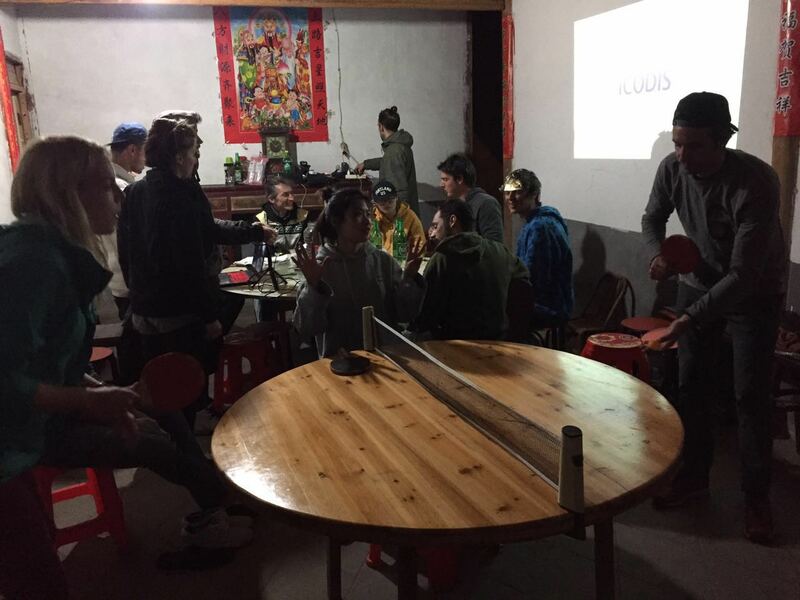 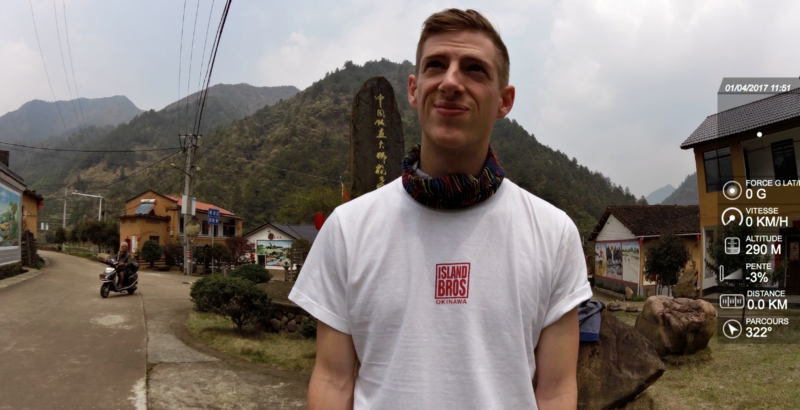 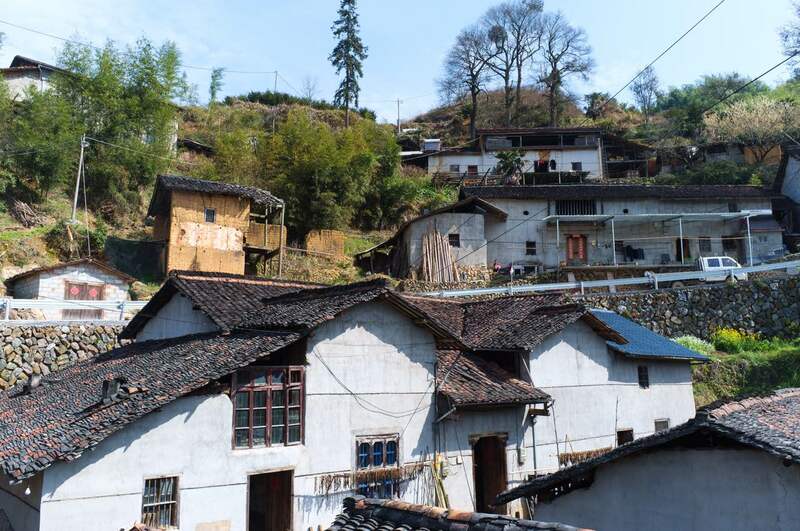 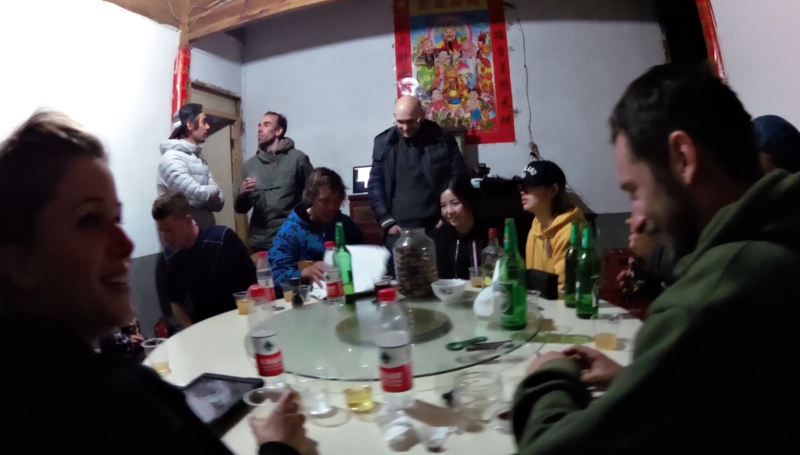 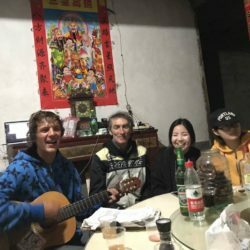 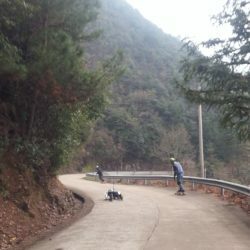 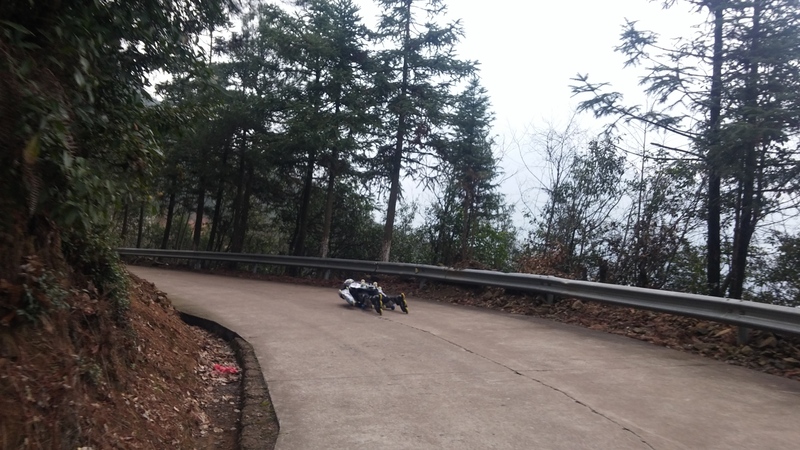 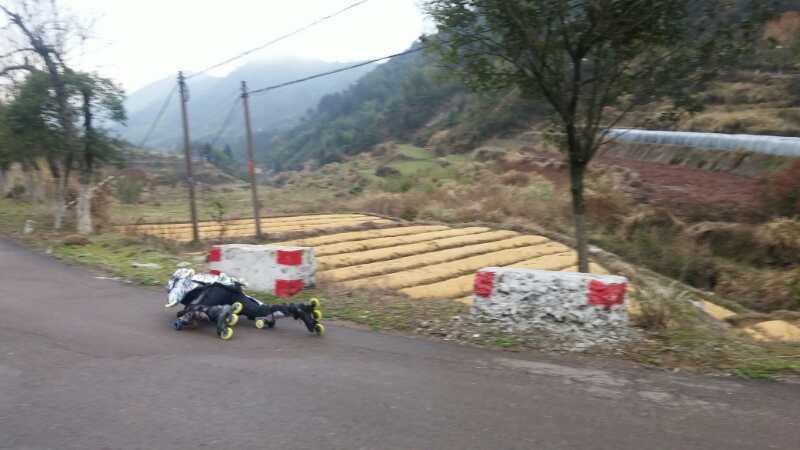 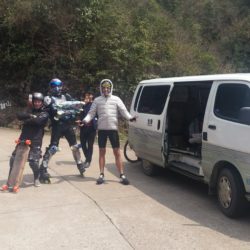 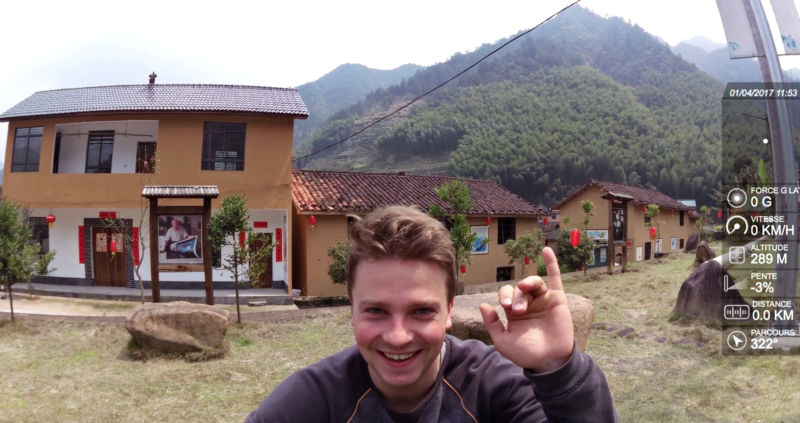 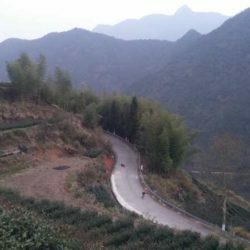 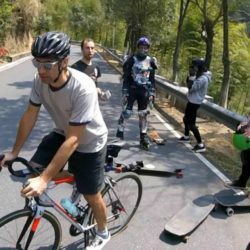 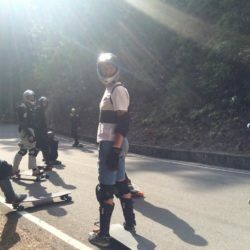 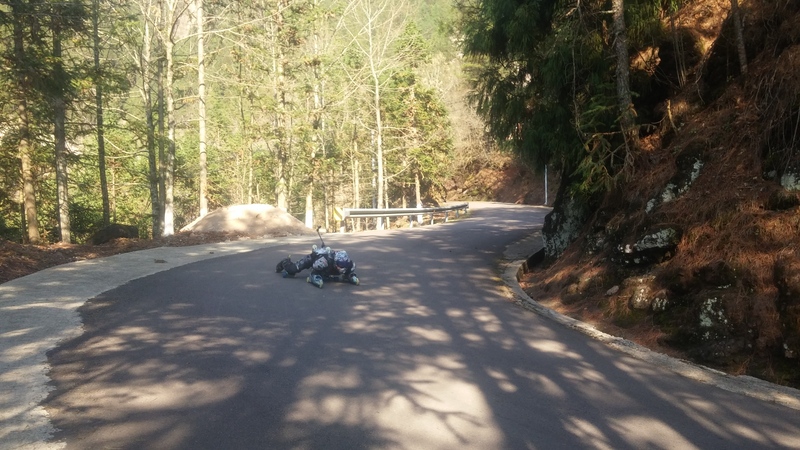 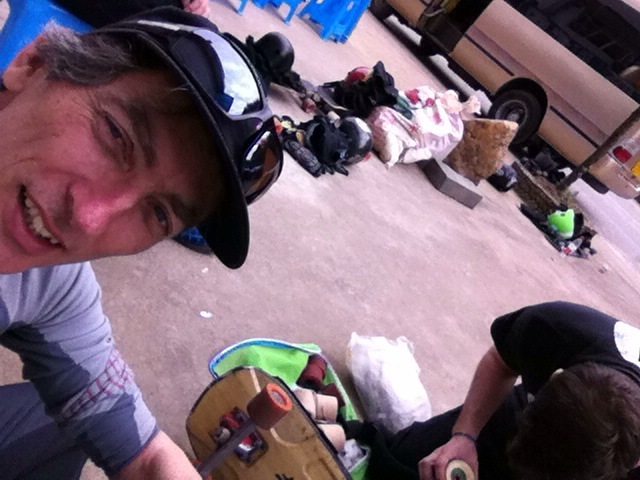 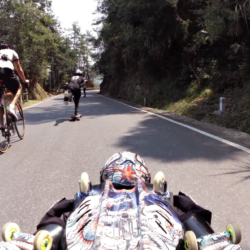 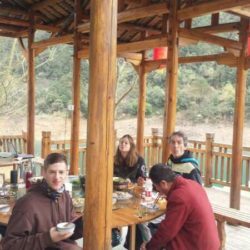 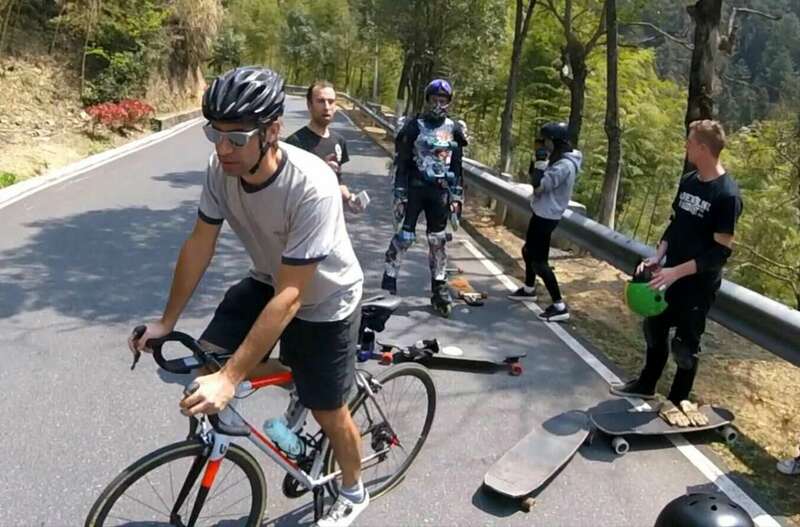 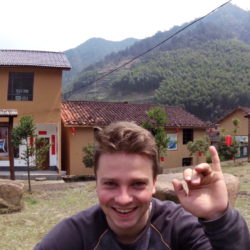 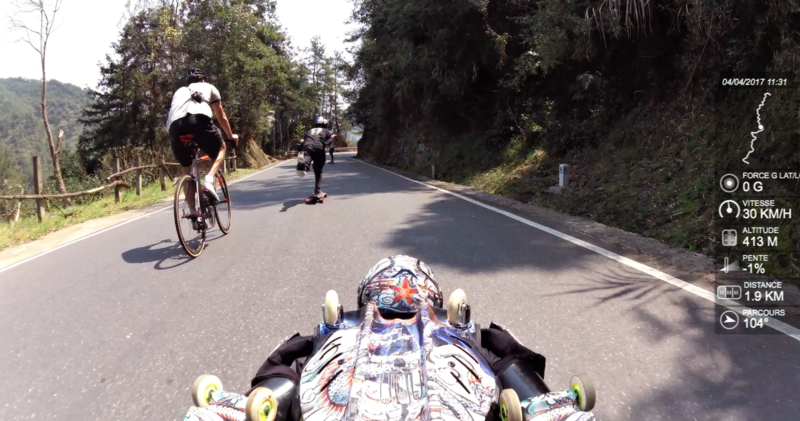 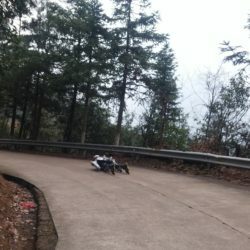 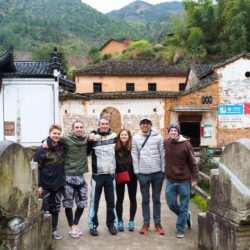 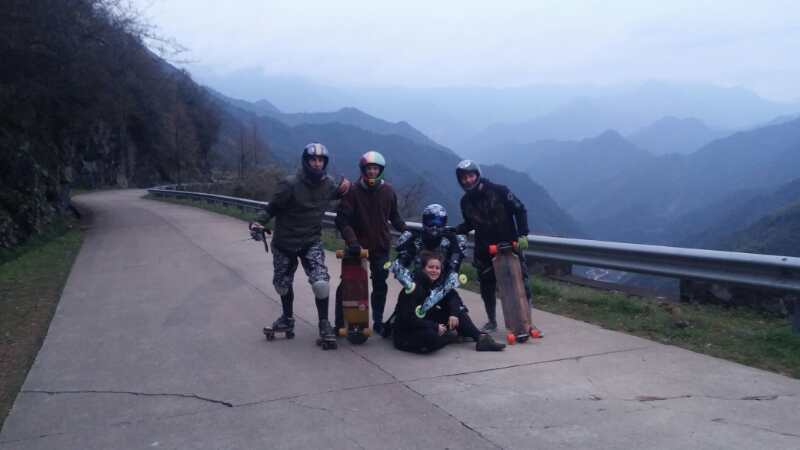 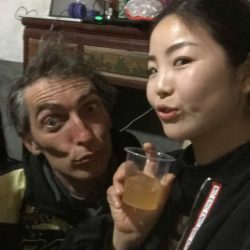 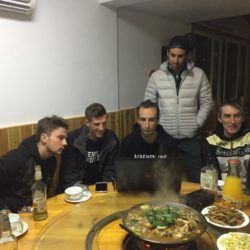 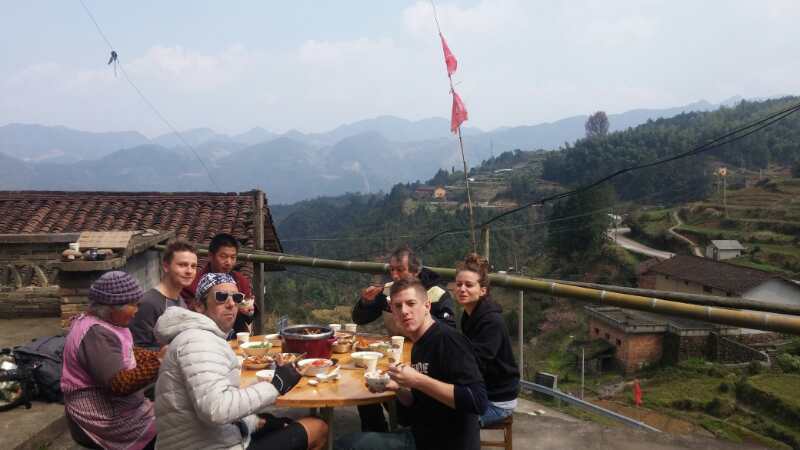 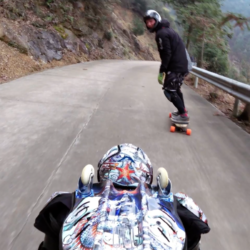 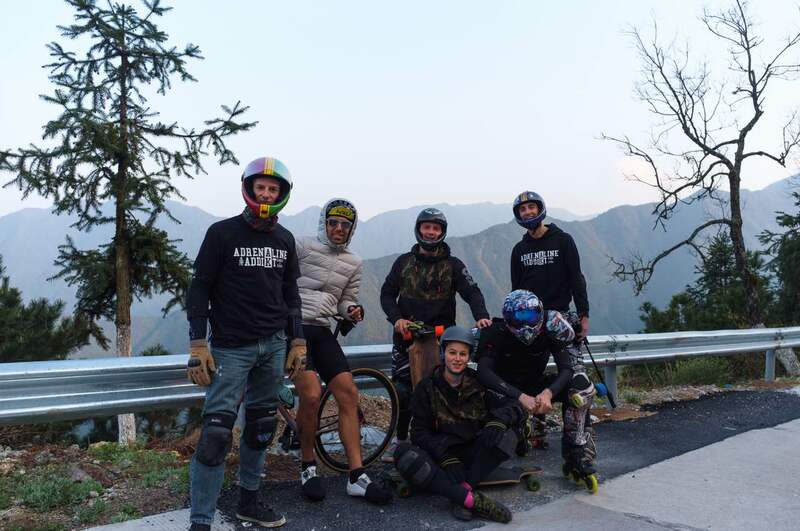 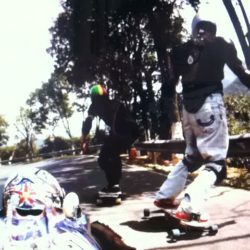 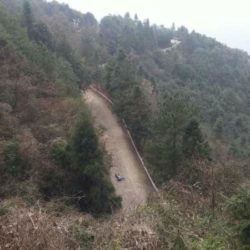 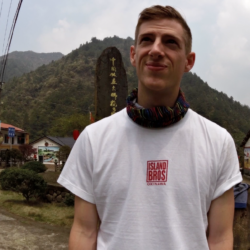 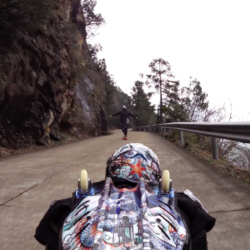 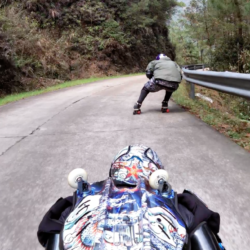 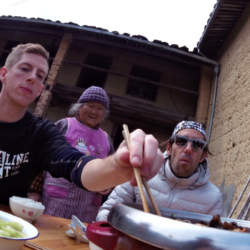 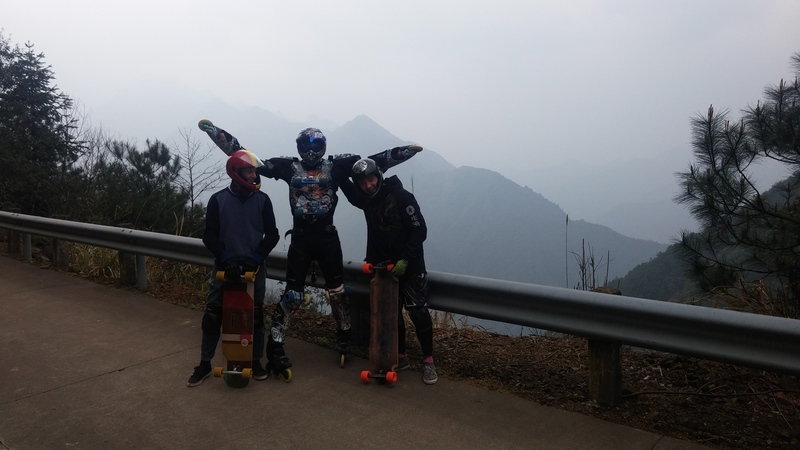 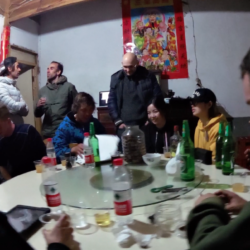 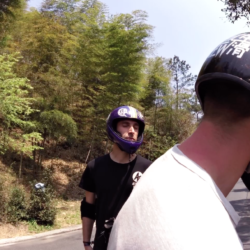 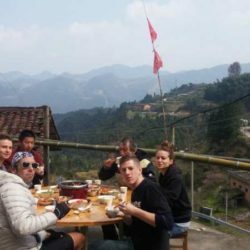 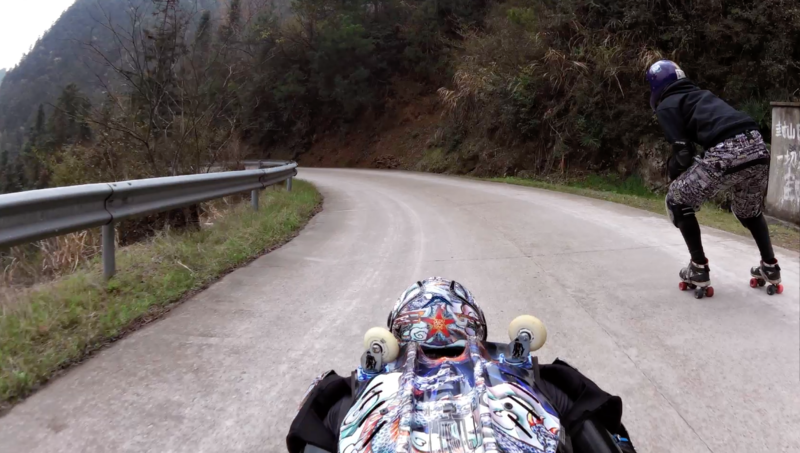 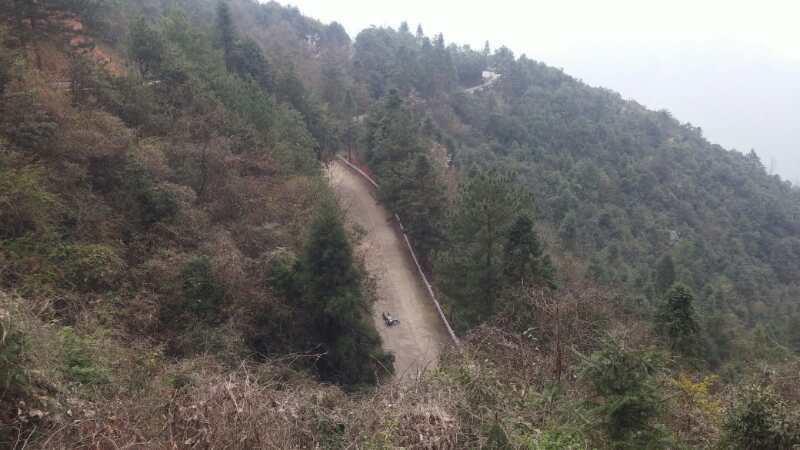 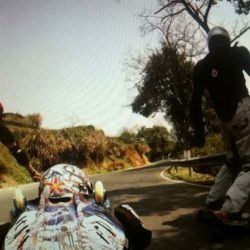 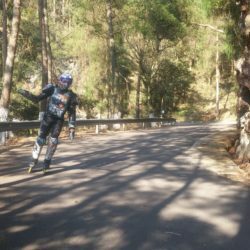 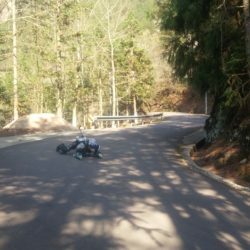 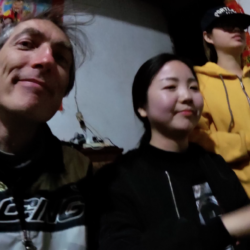 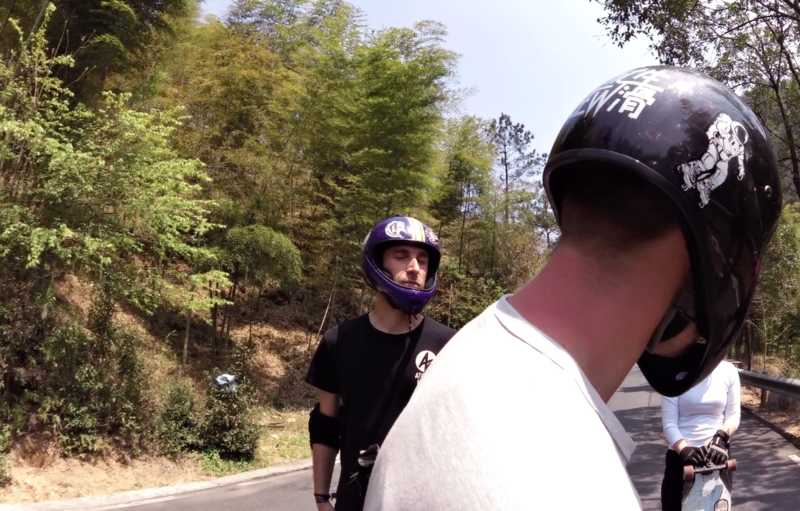 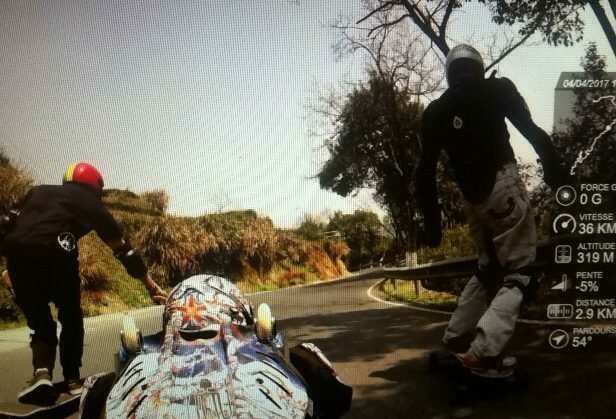 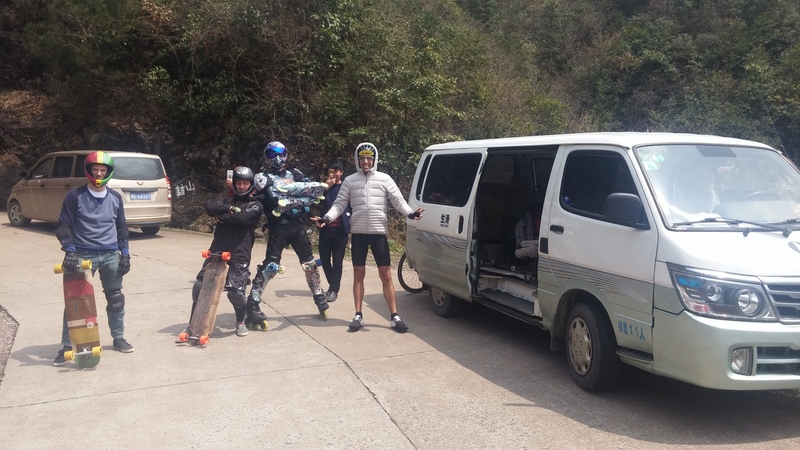 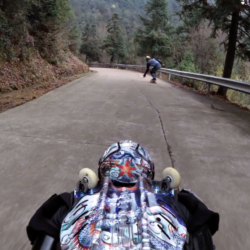 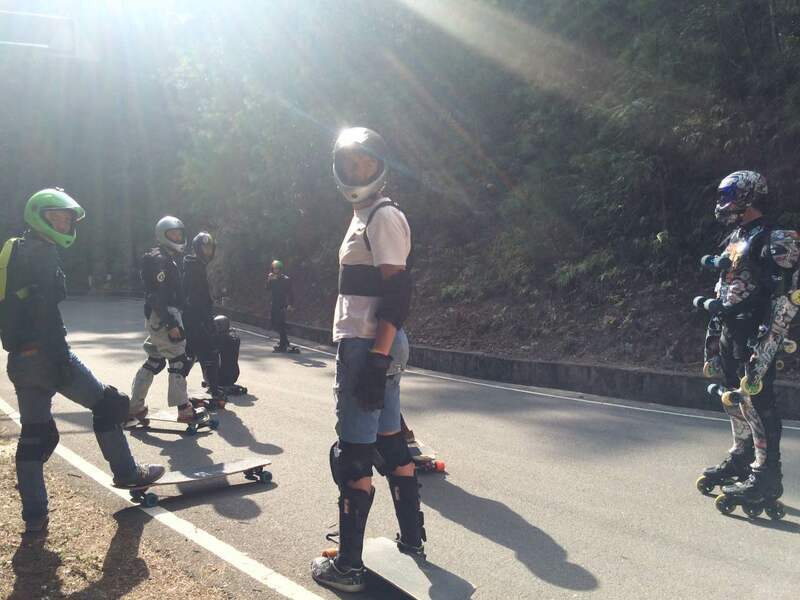 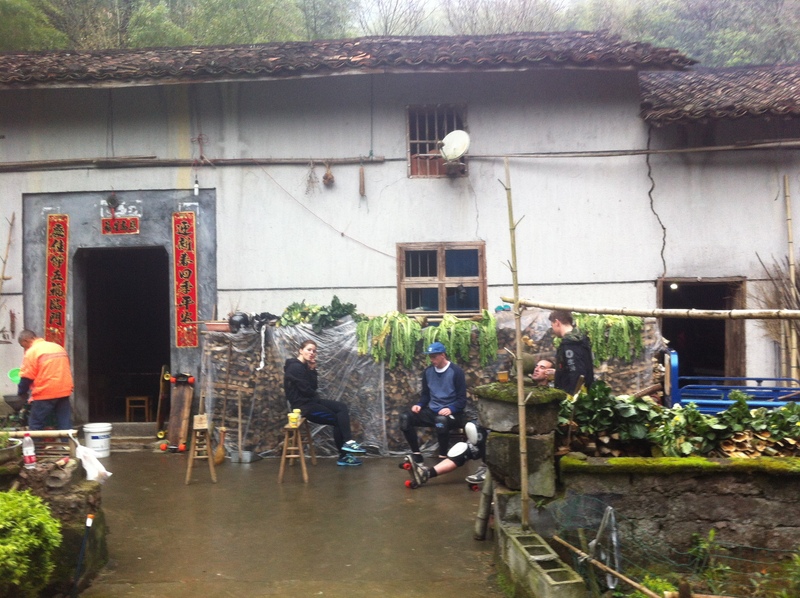 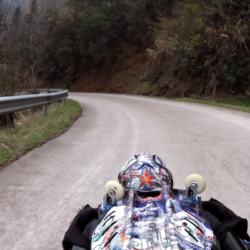 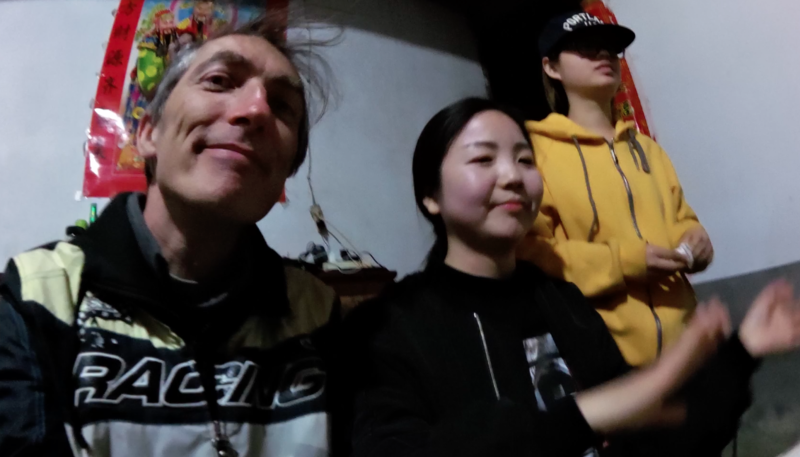 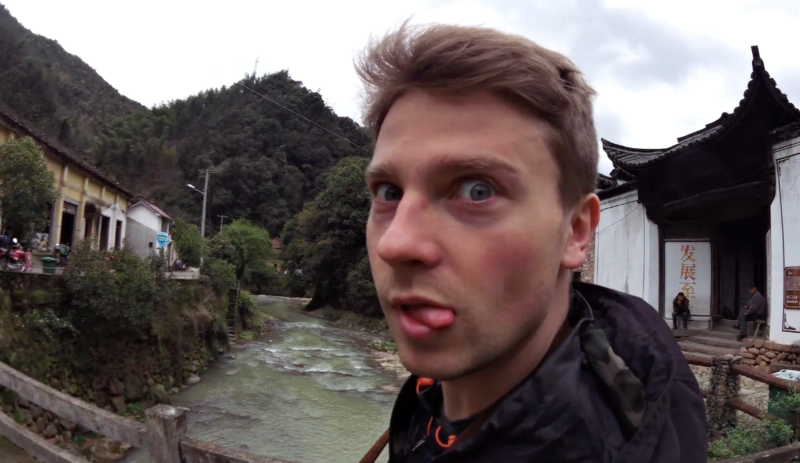 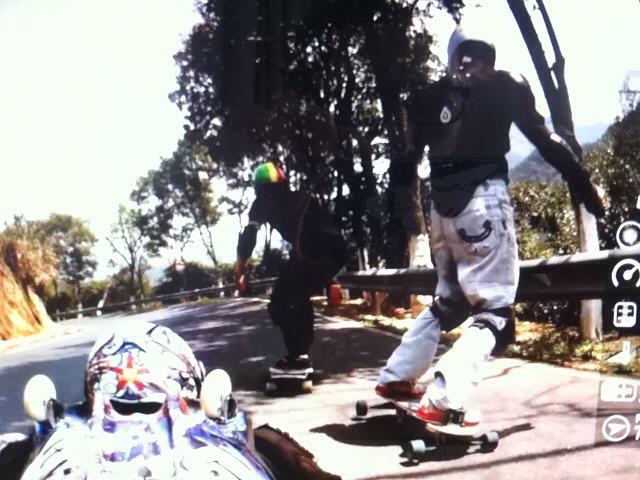 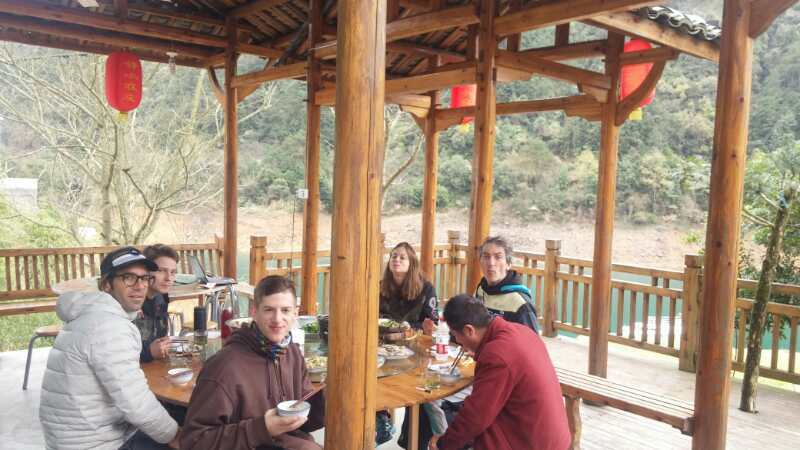 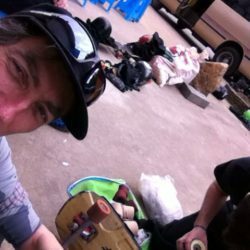 Rollerman at Baimashan started with Atomic krew Shanghai who is making travel through China in order o discover and enjoy downhill roads. 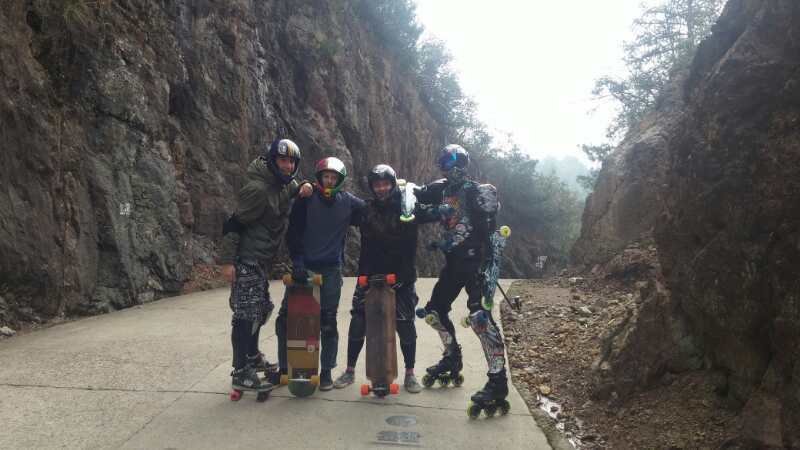 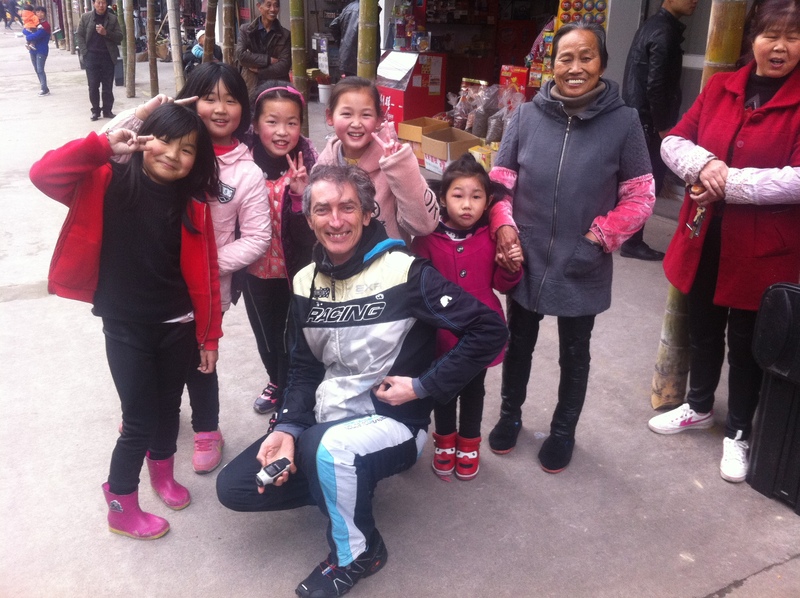 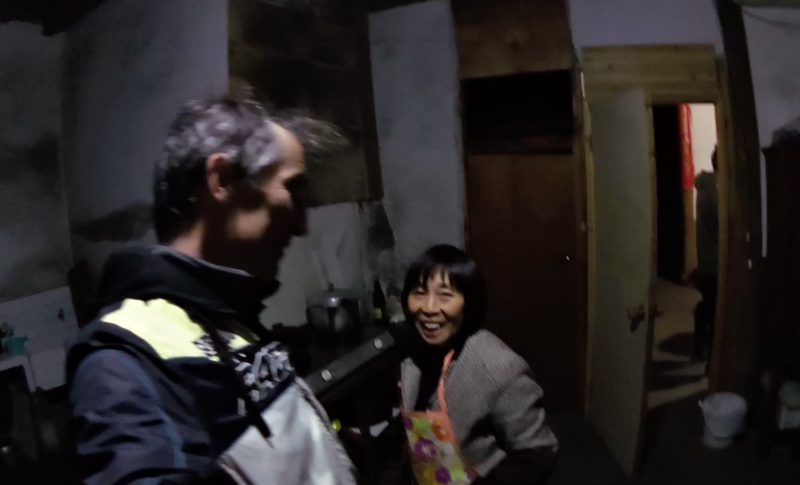 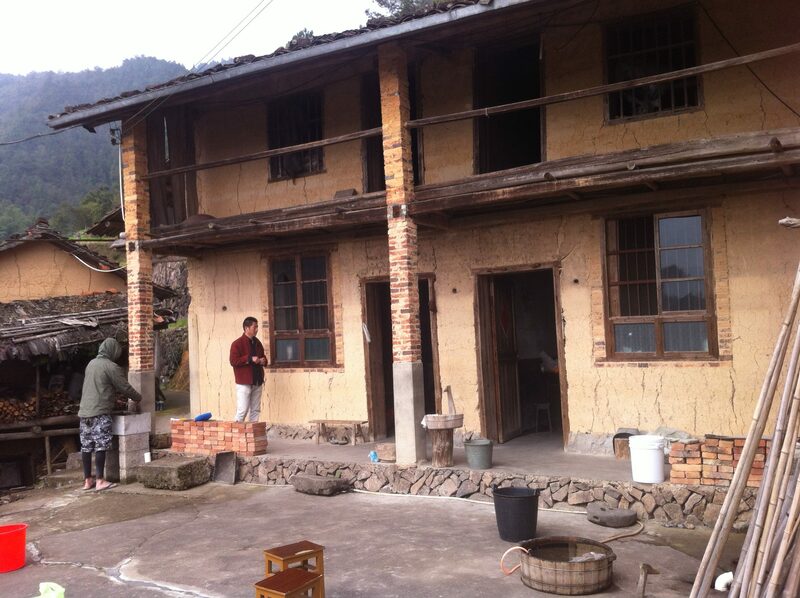 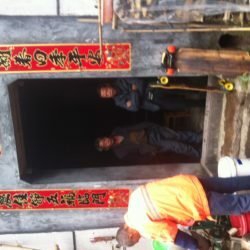 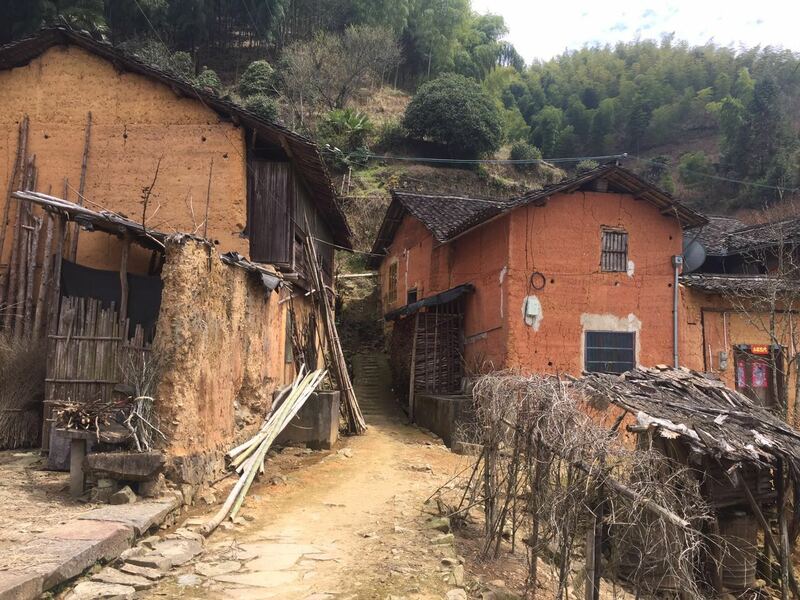 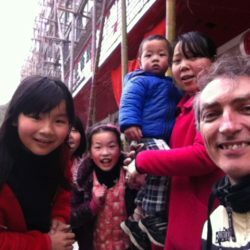 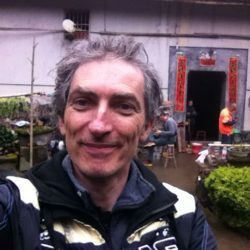 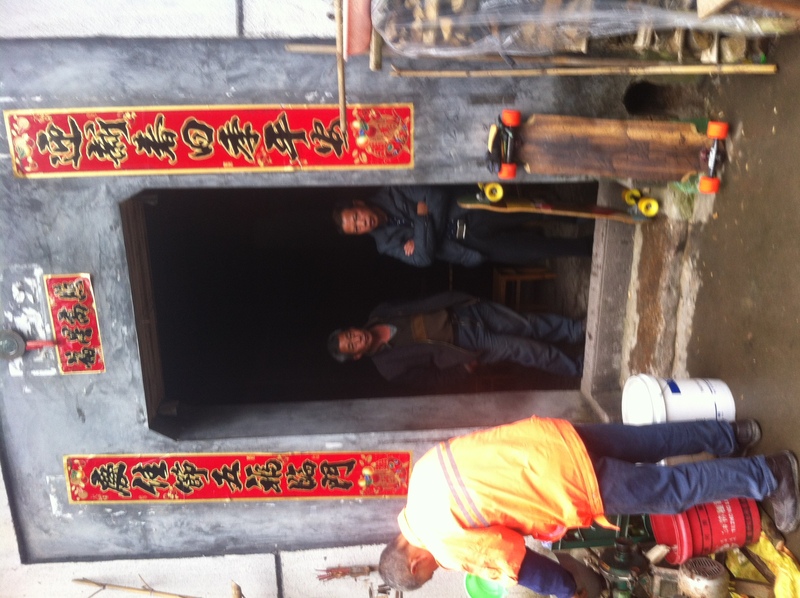 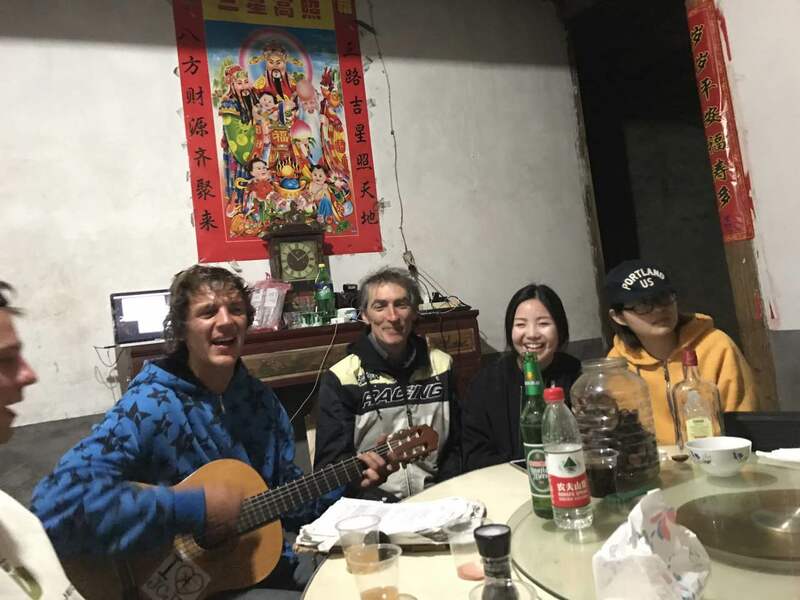 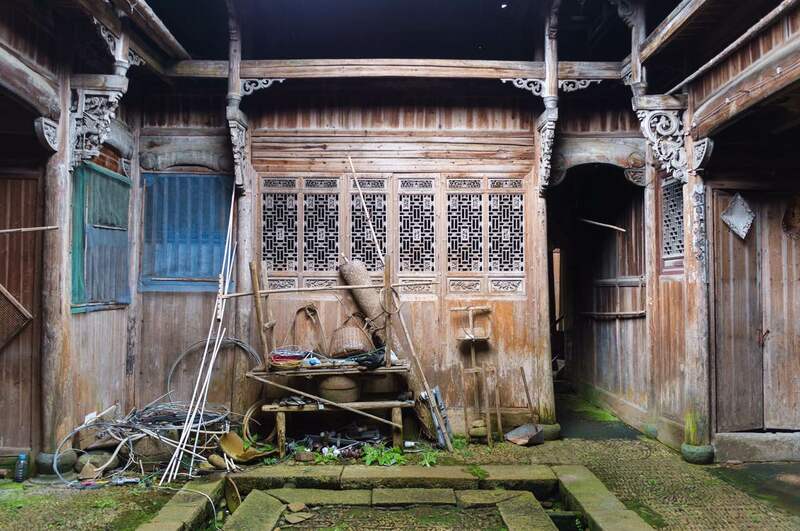 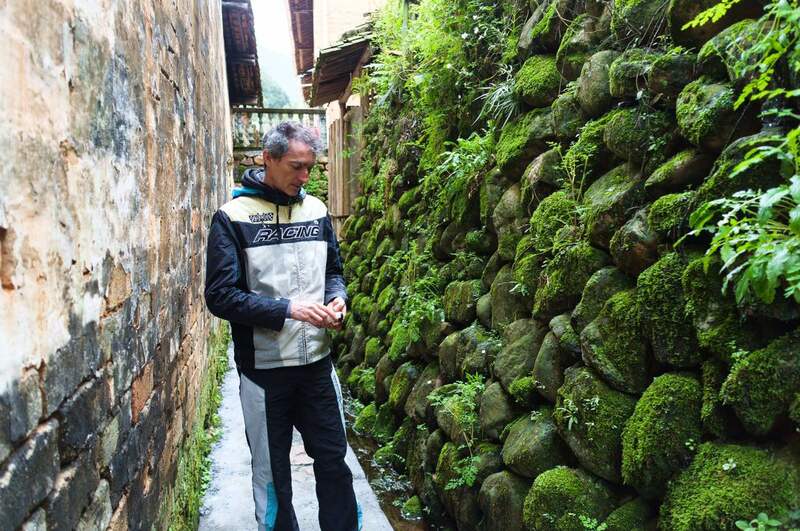 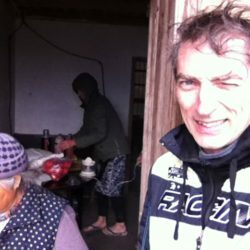 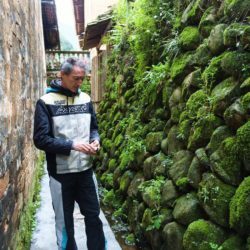 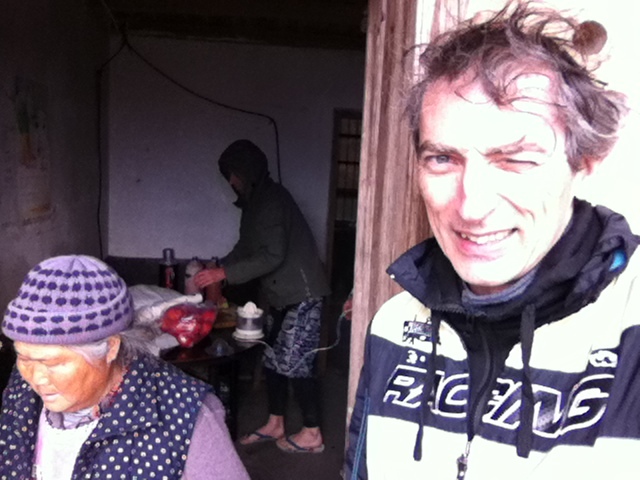 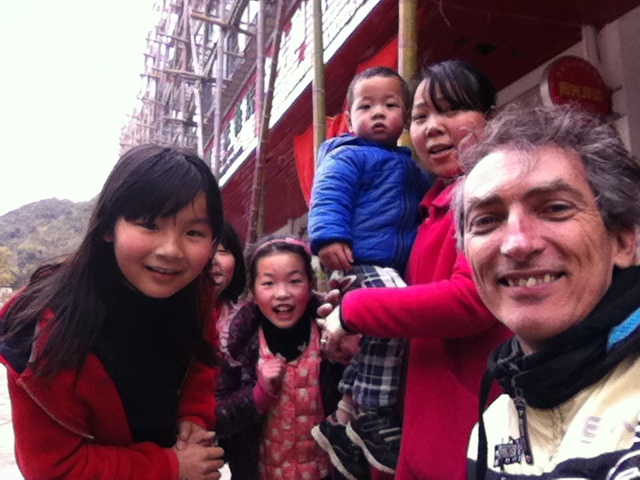 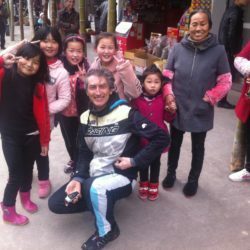 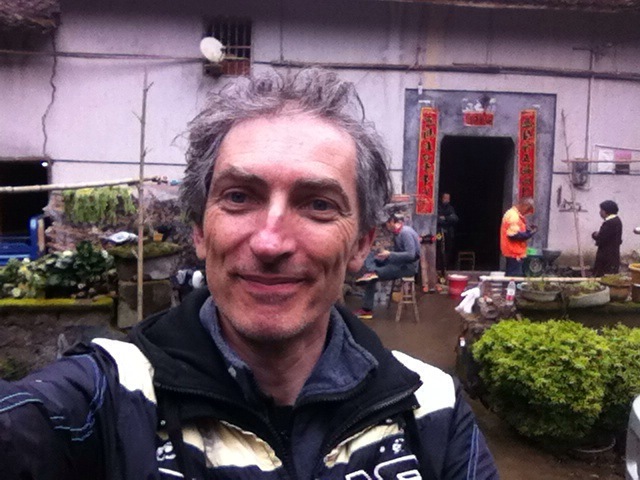 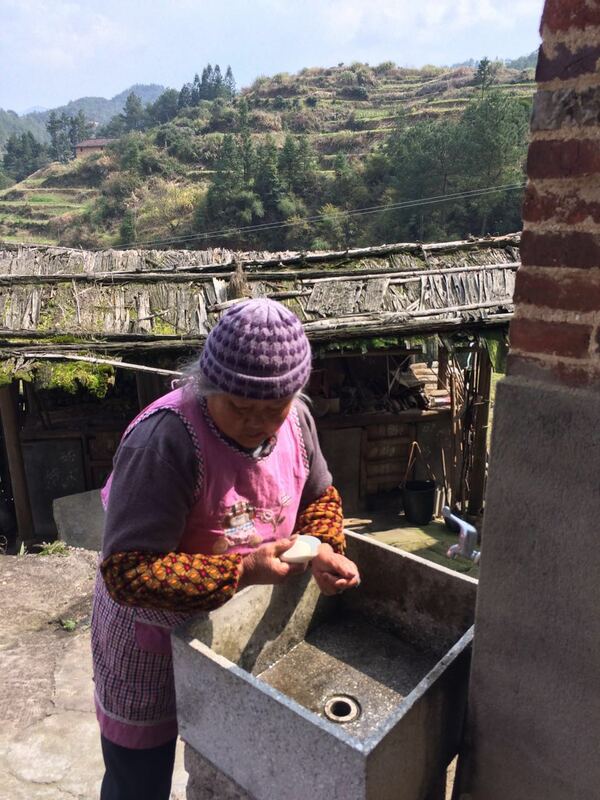 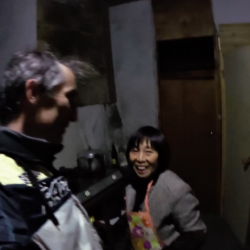 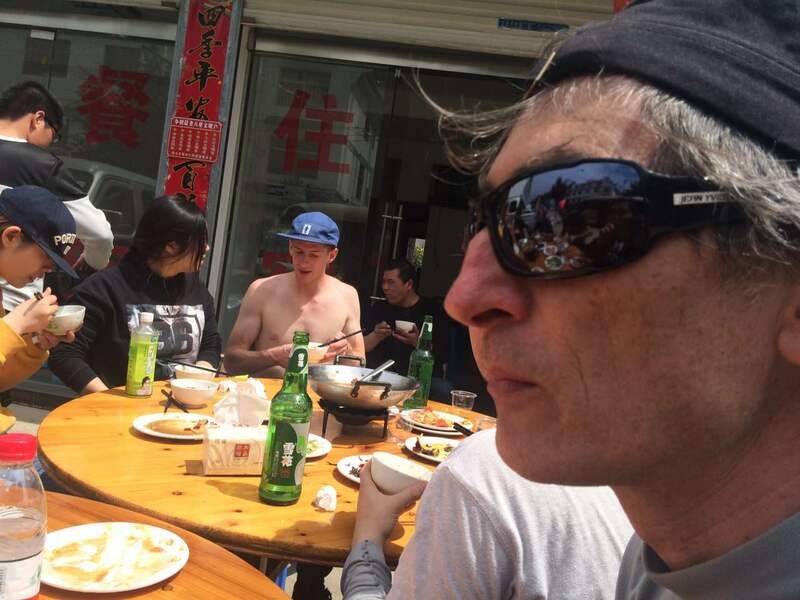 Jean Yves Blondeau, the Rollerman, could join one travel around Baimashan. 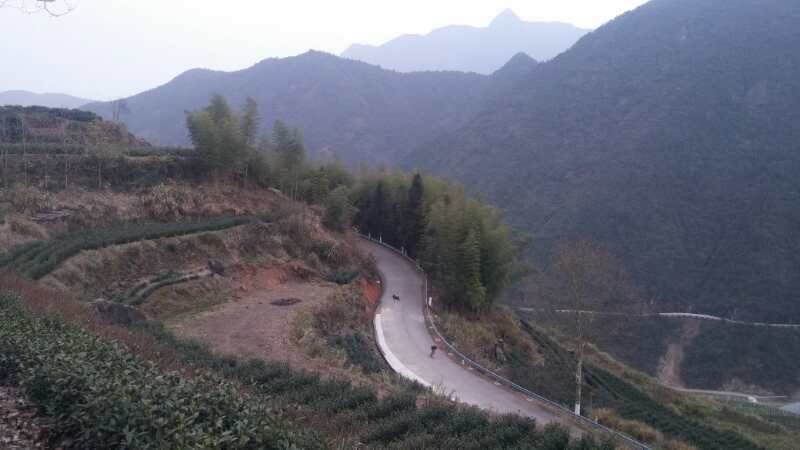 Every day we discover a new road. 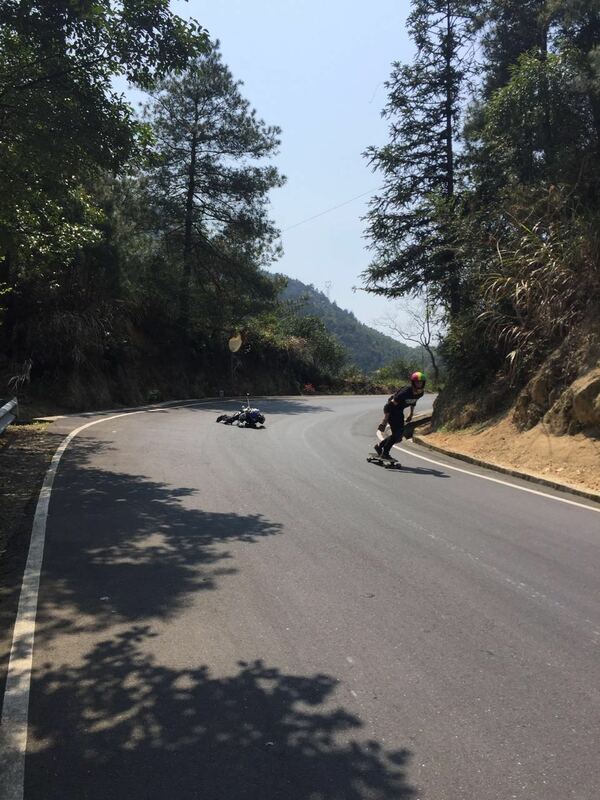 Each road is rolled maximum two time. 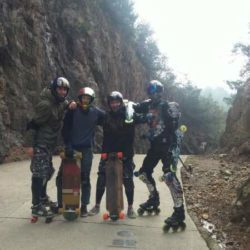 so there is no time for being bored of the Same place. 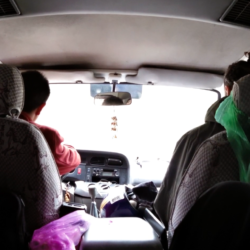 Every night we sleep somewhere else because we are really cruising. 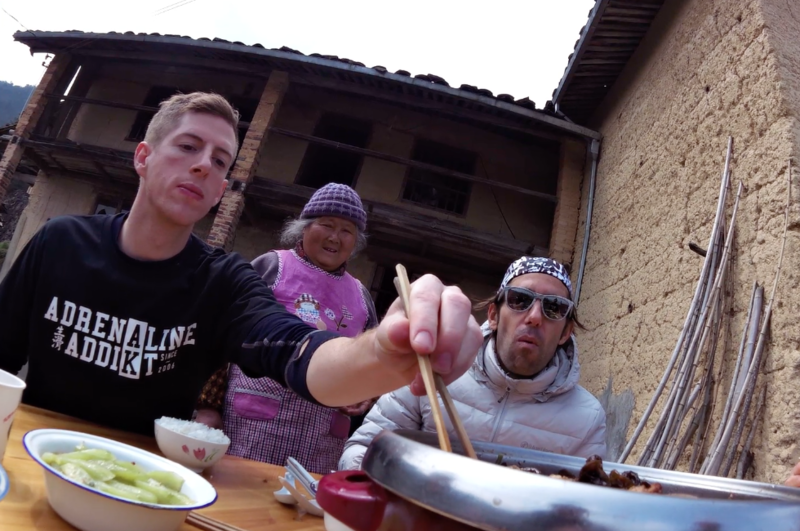 We eat food that greed up in the place. 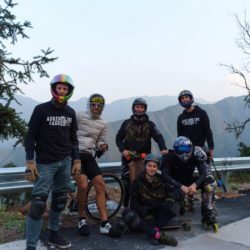 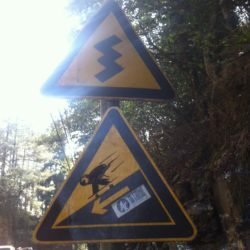 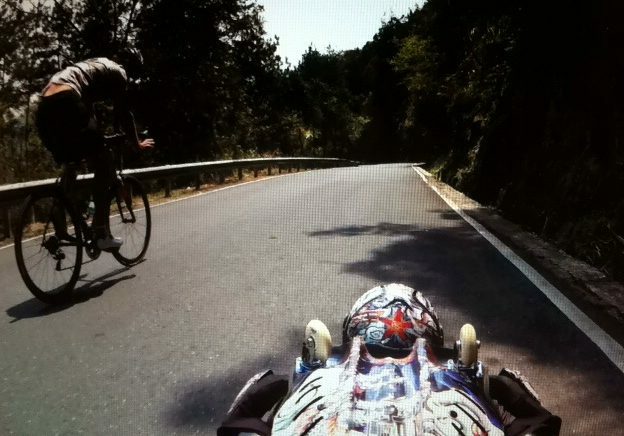 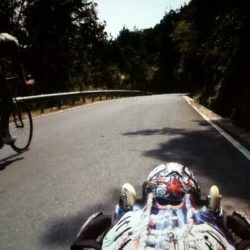 That event is just the BEST EVENT YOU CAN MAKE IN DOWNHILL. 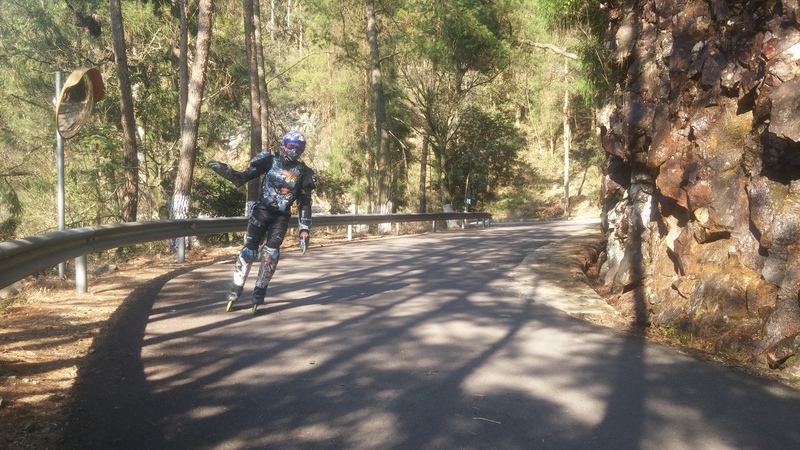 Rollerman at Baimashan the videos. 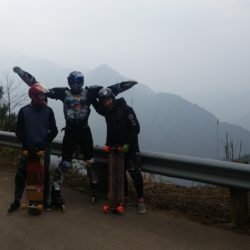 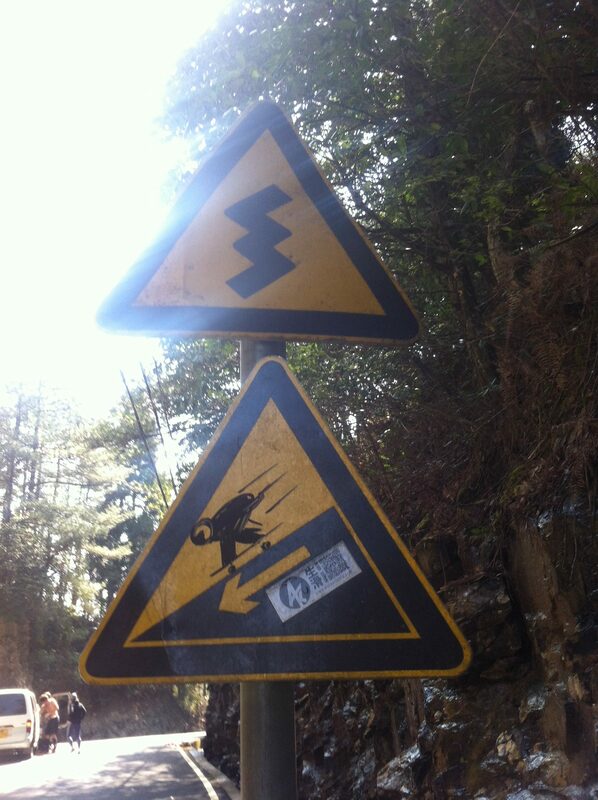 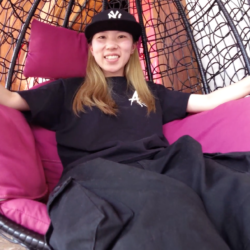 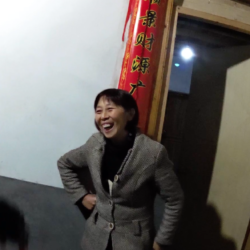 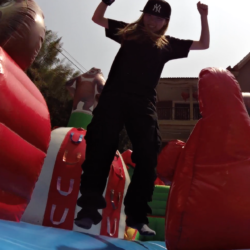 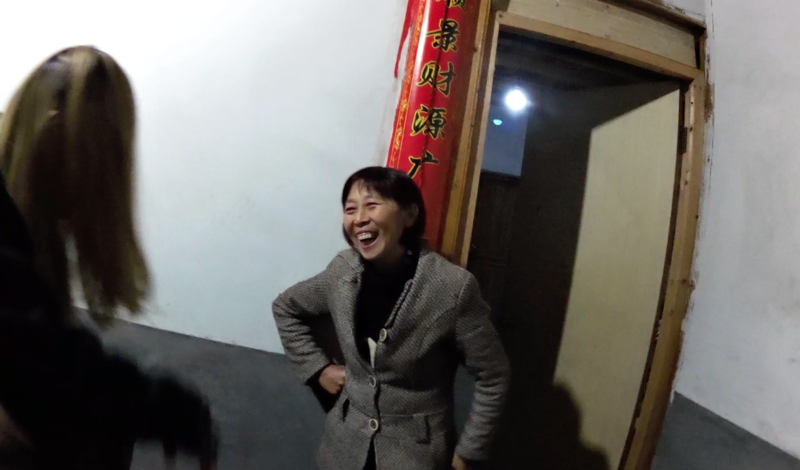 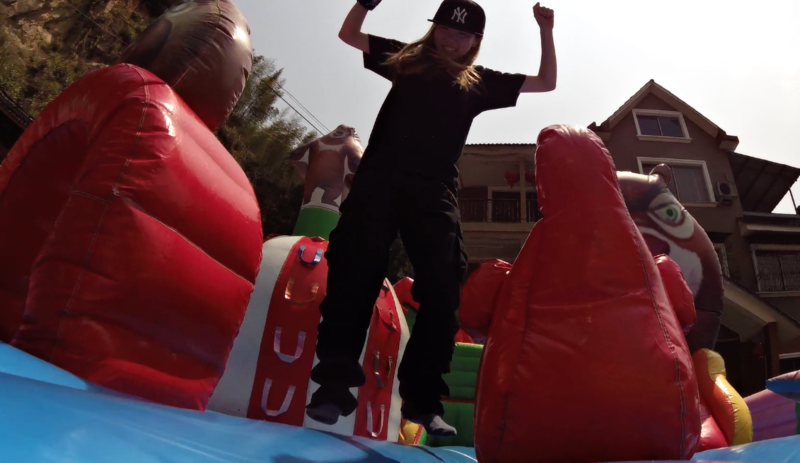 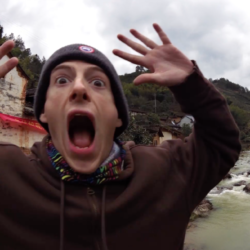 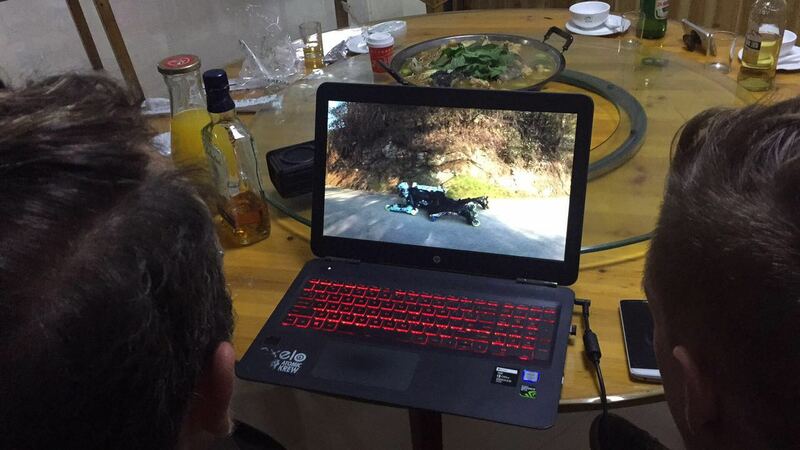 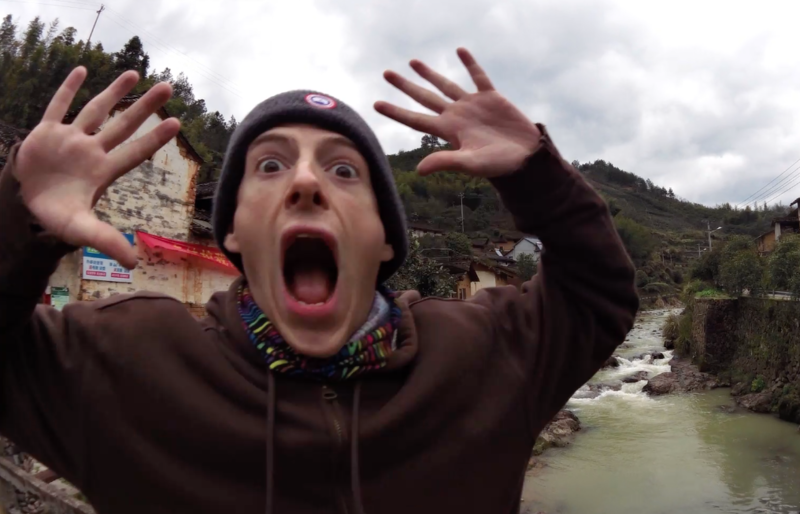 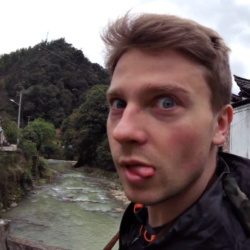 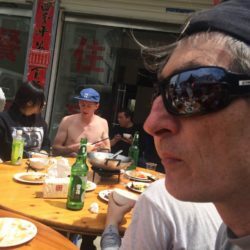 Rollerman made too many video at Baimashan . 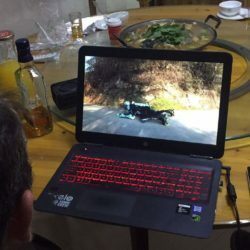 The best is that you watch a full playlist on Youtube. 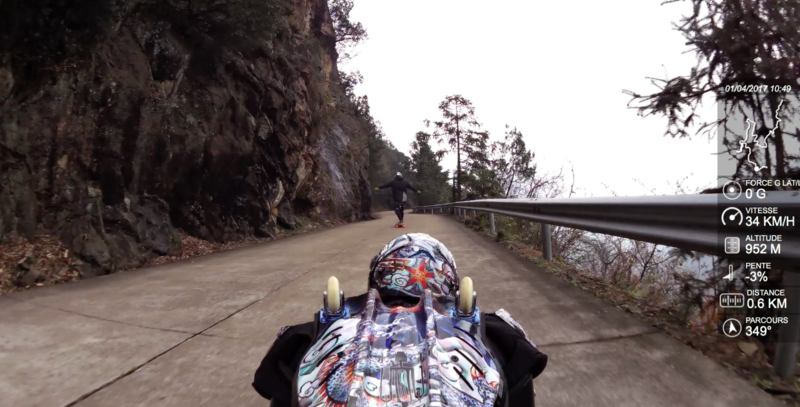 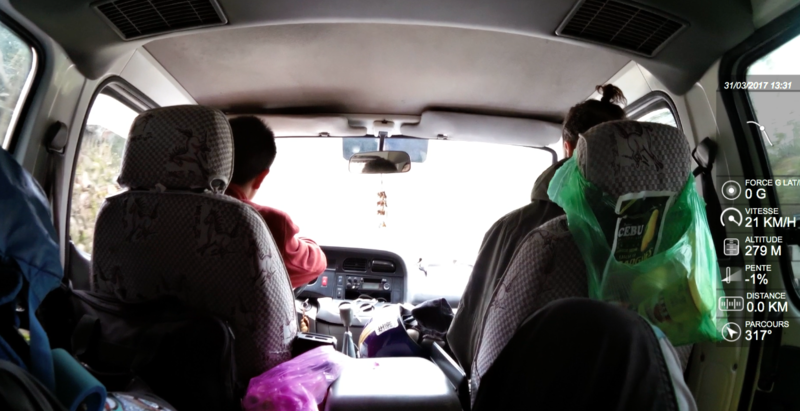 Because every day was special, every side of mountain was a world it deserve special videos. 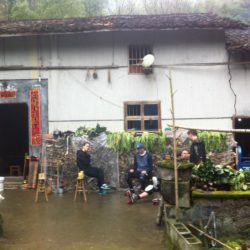 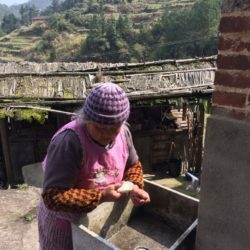 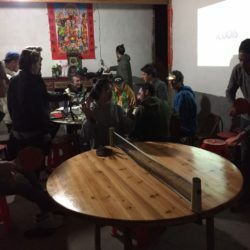 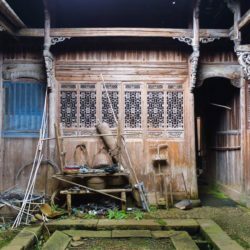 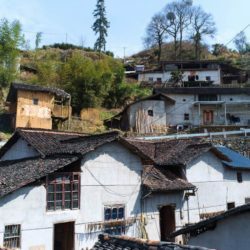 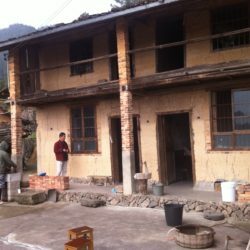 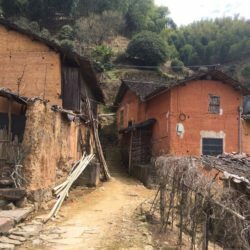 Baimashan deserve to write more about it. 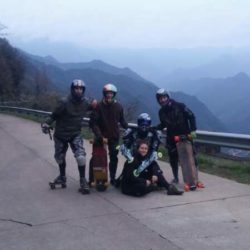 If you want to know more, write us !